If your group is in need of a speaker, we can provide one. All programs are free and can be tailored to your groups' needs. Over 75 local groups and clubs have taken advantage of our Speaker's Bureau. Flexibility is required in all of our day to day activities: bending, walking, lifting, etc. Discover valuable techniques that allow your muscles to remain mobile and improve your range of motion. There’s no easy way to plan for future healthcare choices. It’s a process that involves thinking and talking about complex and sensitive issues. 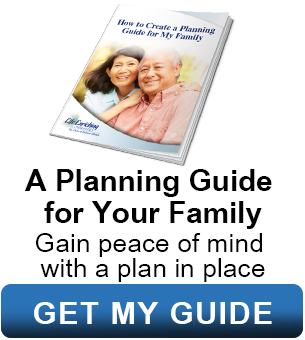 Learn about advance care planning and how to talk with your loved ones about your values, hopes and care preferences. Today there are many options for living a successful life in retirement. Which one is right for you? We’ll discuss the pro’s and con’s of all that is available – from apartment or patio home living to in home care, we will explain them all. Yoga can help with chronic issues such as stress, pain, fatigue, joint lubrication, balance, and arthritis! This interactive presentation will leave you wanting more. The Wellness Specialists at Twin Lakes Connection share lower body stretches to improve balance and the best exercises to manage arthritis. Re-discover the importance of proper hydration, walking and aquatic exercise. You’ll leave feeling inspired with a renewed perspective on these important activities. If staying in your home as you age is important, discover how Confident Living can help you protect savings and manage unexpected changes in health, while providing innovative options to help increase your vitality and longevity – all in your own home. Please Contact Louisa Adams to schedule a program for your group (513) 283-9579 or louisa.adams@lec.org. Click here for a printable flyer of these topics.